Numax Steel is a leading Copper Alloy Pipes & Tubes manufacturer, Copper Alloy Pipes & Tubes exporters & Copper Alloy Pipes & Tubes suppliers. The Copper Pipes and Tubes that Numax Steel manufacture and export are highly appreciated by our clients because of their high strength and corrosion resistant. 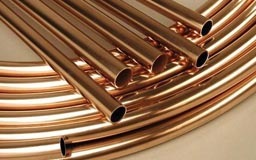 We provide the best quality of Copper pipes & tubes with high durability. We also export Copper Alloy Pipes & Tubes to domestic as well as international markets and thus our products are made keeping the international standards in mind. 6 mm OD x 0.7 mm to 50.8 mm OD x 3 mm thk. 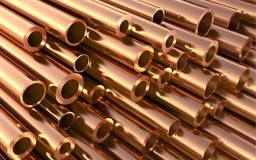 Copper Alloy Pipes & Tubes ASTM / ASME SB 111 UNS NO. 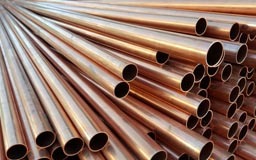 C70600, Copper Alloy Pipes & Tubes ASTM / ASME SB 111 UNS NO. C71500. Ethiopa, Morocco, Italy, Giza, Mexico, Kolwezi, Israel, Sri Lanka, Durban, Egypt, Dar es Salaam, Australia, Oman, Cameroon, Qatar, Casablanca, Brazil, Hong Kong, Johannesburg, Rabat, Fez, Kaduna, Cape Town, Port Harcourt, Ouagadougou, South Africa, Benin, Maputo, Russia, Dakar, Conakry, London, Lubumbashi, Tripoli, Sudan, Democratic Republic of the Congo, Khartoum, Luanda, Turkey, Bulawayo, Iran, Port Elizabeth, Singapore, Peru, Nairobi, Colombo, Uganda, Lagos, Yaoundé, Saudi Arabia, Accra, Alexandria, Kinshasa, Abidjan, United States, Colombia, Angola, Jordan, Soweto, UK, Ghana, Maiduguri, Pretoria, Algiers, New Zealand, New York, Addis Ababa, Germany, Iraq, Canada, UAE, Dubai, Ibadan, Kampala, Cairo, Bahrain, Lebanon, Indonesia, Yemen, Mozambique, Freetown, Bamako, Algeria, Trinidad and Tobago, Africa, Antananarivo, Chine, Malaysia, Omdurman, Mbuji-Mayi, Mogadishu, Brazzaville, Subra al-Haymah, Douala, Azerbaijan, Houston, Argentina, Abu Dhabi, Kuwait, Harare, Tunisia, Venezuela, Cyprus, Kano, Nigeria, Thailand (Bangkok), Zaria, Vietnam, Kazakhstan. Addis Ababa, Ahmedabad, Puducherry, Luanda, Betul, Lubumbashi, Ouagadougou, Kolwezi, Kerala, Kinshasa, Bamako, Casablanca, Maharashtra, Suryapet, Uganda, Surat, Andhra Pradesh, Yemen, Angola, Manipur, Cyprus, Sadar, Kano, Cairo, Bangalore, Cameroon, Maiduguri, Hyderabad, Algiers, Ambala, Democratic Republic of the Congo, Mizoram, Giza, Tadepalligudem, Conakry, Yaoundé, Kolkata, Udgir, Soweto, Morocco, Bundi, Miryalaguda, Muktsar, Jamalpur, Harare, Pune, Ghana, Lucknow, Freetown, Accra, Durban, Benin, Fez, Khartoum, Cape Town, Lebanon, Mumbai, Abu Dhabi, Ibadan, Tripoli, Benin, Colombo, Delhi, Lagos, Brazzaville, Bulawayo, Venezuela, Omdurman, Abidjan, Bhiwadi, Bansberia, Ethiopa, Dakar, Kampala, Karnataka, Johannesburg, India, Mozambique, Subra al-Haymah, Douala, Dar es Salaam, Baraut, Rabat, Thailand (Bangkok), Maputo, Port Elizabeth, Russia, Pretoria, New York, Mogadishu, Oman, Jordan, Zaria, Chennai, Nairobi, Hong Kong, Port Harcourt, Qatar, Alexandria, Kaduna, Buxar, Tripura, Jaipur, Ballia, Singapore, Antananarivo, Nagapattinam, Algeria, Mbuji-Mayi.